Online reservations are coming soon. Please contact us by phone or email to request a booking. Thank you! Catering and Events are opportunities for us to work more closely with our guests, occasions for us to share our dedication to celebration in exciting new ways. Please see our occasions page for more details. 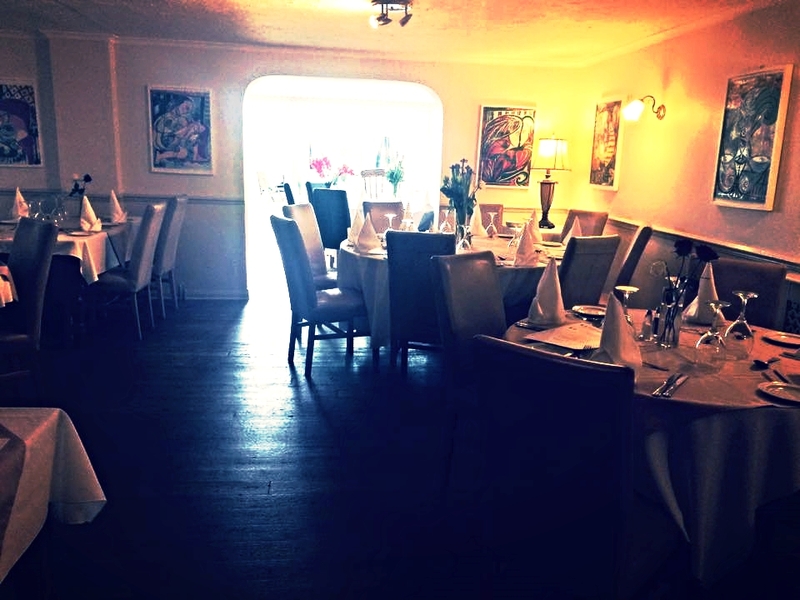 With exquisite views of the countryside and detailed with modern furnishings and inspired Picasso artwork the Restaurant & Conservatory area is perfect for those couples, families or businessmen who are looking for a romantic or stylish setting to dine in. Along with the Paddock it is also available for bigger receptions. Please click here for more details. A room still with its original country pub features, the paddock is adjacent to the traditional public bar. A roaring fire sits in the centre of the room to welcome in dogs and walkers alike, where you can merely sit and enjoy a beverage or indulge yourselves in something to eat. Call 01335 342714 to reserve either room for your reception or party.